One day when I was six years old, my parents gave me a shiny quarter, as they did every Sunday morning and told me to put it in the collection plate for church "to give it to Jesus for his work." When I returned, however, the quarter was still in my purse. I was frank in explaining that I hadn't given my money for Jesus because he was absent. My parents were more amused than concerned, probably thinking that my genes would prevail, having descended from a family with three Christian ministers as my grandparents. I attended an Episcopal Private School where we studied world religions during my last year of elementary school. I was intrigued with my father's Swedenborgian faith for a time, as it injected an element of mysticism into his essays on faith, however, the trinity was a point of contention for me as I felt it wasn't logical. How could one father (The Great Spirit), plus what was called 'His Son' (Jesus), and one Holy Ghost (who I now understand to be Angel Gabriel) all be together as one, inside one being? It was logically impossible, and I had been raised to use rational thought to make decisions in my life, I knew I couldn't accept the creed of three equaling one. I continued reading the Bible every Sunday with my father after dinner, looking for answers and enjoying stories of historical Prophets, at the same time not feeling totally satisfied. I was told I should not question, but simply believe in good faith, However, I never was one for blind following, and I needed to feel the proof on my own. When I brought some books home, my grandfather encouraged me to learn, and reassured my family that Islam contained a good moral code of living. He himself had immigrated to America in 1913 when he was a boy from a Russian province next to Turkey on the Black Sea, and remembered haring the call to prayer, and that some of our relatives had Arabic Muslim names, such as Maryam and Sophia. The more I read, the more my understanding and excitement grew. I found the answers to all my question, and more! Everyday I looked forward to reading more, and my discoveries enlightened me. 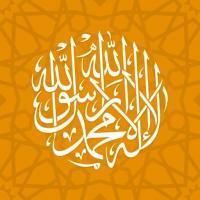 Islam was clear, logical, with explanations and guidance for every aspect of worship and human relations. At the age of 17, 1 began regular Salat (prayer) and completed my first Ramadan fast. If I went to the park, or out with friends, I would stash a bag of dates (if I had them), a bottle of water, and maybe a sandwich or can of food, and break my fast wherever I was at that moment. My non-Muslim friends would good naturedly remind me of the sun's setting so I could break my fast. That summer I took the train for 2days to Bloomington, Indiana to attend the Muslim Students Association's lectures and seminars to learn more about my new faith, stayed on campus with other Muslims for a week, and my faith blossomed, I returned home with a prayer rug, prayer beads, books, and several scarves, al-though unfortunately I did not have the courage to continue wearing the scarves once I left. I attended Portland State University with a major in teaching English as second language, and a minor in Middle Eastern studies. I hoped to go to Saudi Arabia to work, visit Makkah and Madinah and perform Ha]]. In my last year of study, I began to push myself too hard, too fast. I began to doubt I would realize my goals, and became depressed. Trying to compete with my friends in graduating early, I did myself a disservice by overloading myself with extra classes which resulted in my having a nervous breakdown. As I stood one evening overlooking beautiful lights of the city from a high rise building, I thought how easy it would be to just step off into the air and end it all. However, suicide in Islam was a big sin (I didn't know that at the time), but I knew how it would deeply hurt my close relatives and friends if I 'took the easy way out.' Besides, I reasoned with myself, there's still that tiny chance that Merciful Allah might let me get to Makkah after all, so why not wait to find out? Indeed, Allah works on His own timetable and everything has a plan if it is good for us. One evening at an international costume party I, met a polite gentleman whom I later found to be an intelligent Saudi student. We married shortly thereafter, and through him God has let my dreams come true. We have three lovely children, and he has taken me on Hajj. I am content and satisfied and greatly thankful to the Almighty God, who certainly answers earnest Dua'a (supplications), If it is good for us. If we are patient, and have Iman (faith), Allah does help us even in ways we don't expect.